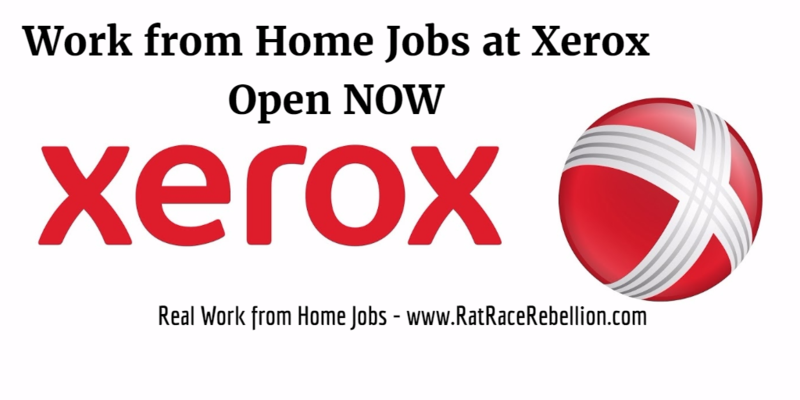 For several years Xerox has been a major hirer of virtual workers. As we noted in our last post, it has over 8,000 home-based employees working in data entry, customer care, tech support and many other roles. Through its [email protected] program, it also hires military spouses and veterans to work from home. Xerox hires virtual workers across the US but also internationally. It always has hundreds of virtual job openings at its virtual jobs portal. At the moment it lists 175 virtual jobs in the US alone. The selection of jobs always varies. Current openings include Customer Care Specialists, entry-level Data Analyst, Tech Support Agents (these are reportedly for Apple customer support; see below), Designer, Call Center Manager, Database Administrators and many more. For the Tech Support Agent jobs, note that hiring is nationwide, regardless of the city specified in the listing. This is mentioned in the text in the job descriptions: “This is a work from home position and we can consider candidates from across the US – you do not have to live in the city this is posted to be considered.” Xerox is reportedly hiring many people — perhaps hundreds — for these positions. This entry was posted in Work at Home Jobs and tagged Xerox. Bookmark the permalink. ← Multilingual? 11 Work from Home Jobs for the Linguistically-Talented!